We are a city centre church located in the heart of Limerick City, Ireland. 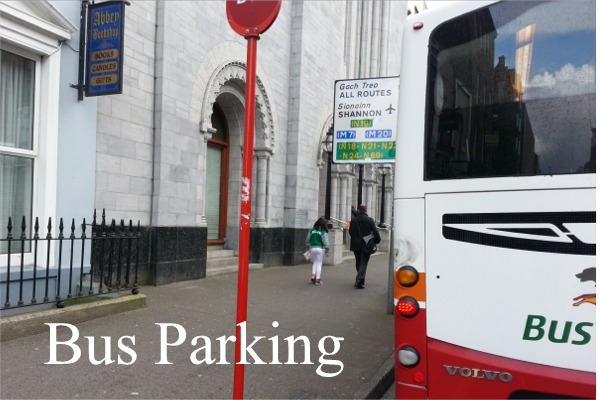 Special Parking for coaches is available outside our church main entrance for one (1) hour. 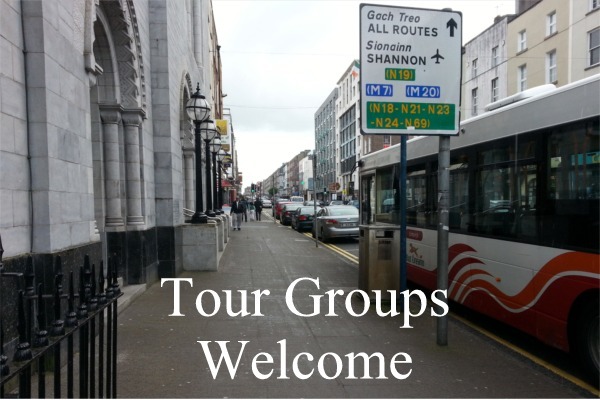 Visitors and tour groups are always welcome for prayer, reflection, view architectural features, browse the book shop and gift shop or to celebrate a group Mass at the High Altar. Pick up a leaflet inside the door which will give you a history of the Augustinian presence in the area, architectural features and other information. The light and colour coming through the Harry Clarke stain glass windows creates an atmosphere of serenity and calm in a bustling Limerick City centre. Choirs wishing to perform spiritual music and song are always welcome at an agreed time. A range of books and devotional items are available in the Abbey Bookshop within the church.